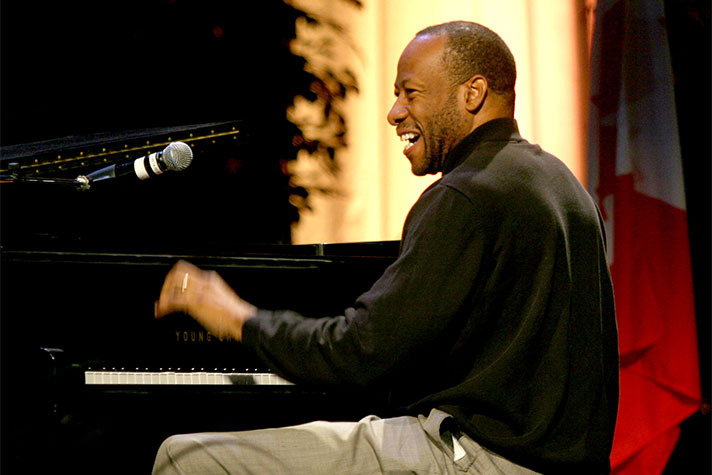 Internationally renowned Christian pianist Huntley Brown is a man of contrasts. He offers world-class electrifying performances yet remains utterly humble about his musical gift. 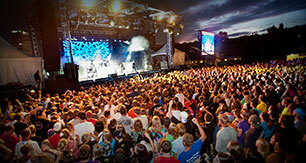 This ordained pastor plays venues from Carnegie Hall to high schools plagued by gang activity, and leads worship at Billy Graham Evangelistic Association (BGEA) Crusade events to boot. “I love my audiences and will go anywhere I’m called. But I only play for an audience of One,” he explains, referring to his love for God. What separates this joyful Jamaican, who resides outside Chicago, from other highly talented secular pianists? Brown explains how his calling is deeper than just music. This special connection with the Lord has nothing to do with how grand the piano or talented the player. “It’s simply prayer,” he explained. Maintaining an active prayer life fills him with the Holy Spirit, which then spills out over the ivories. Currently playing with orchestras and choirs at Franklin Graham’s and Will Graham’s European Festivals, Brown’s connection with the BGEA started when he served as Crusade pianist for Dr. Ralph Bell, a former BGEA evangelist. 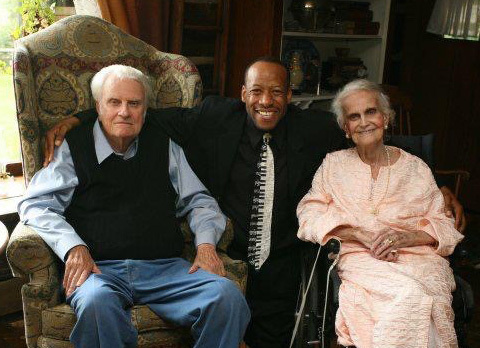 Huntley Brown’s visit to the Graham home in 2006 where he played a private concert for Billy Graham and his wife, Ruth. Brown also played for Ruth Graham & Friends, a ministry started by Billy Graham’s daughter, Ruth, who was named after her mother. He’s traveled the world with the BGEA Schools of Evangelism, including speaking and leading worship at Amsterdam 2000, a BGEA-led international evangelism conference. Getting to meet and play for Billy Graham, though, was a milestone. “People have different heroes,” he explained, “Sports players, etc. Not for me. I look up at somebody who’s a world changer. “I look up to Dr. Graham as a world changer. Wherever he went, he preached one message, the uncompromising message of the Gospel of Jesus Christ. “It was my dream to meet him,” he explained, so Billy Graham’s daughter, Ruth, set up a meeting. On his way, Brown stopped in to see George Beverly Shea, a soloist for the Billy Graham Crusades for six decades. The two sang and played music together late into the night. The next day he drove up to the Grahams’ mountaintop home in Montreat, North Carolina, where he played Ruth Graham’s favorite songs. “I was really just having a great time,” he said. When Billy Graham came in the room, all Huntley could think of was how many world leaders have looked to this man for counsel. “I was pinching myself. What really impressed me that day was he was asking about me,” Brown said. “He was so caring, he was so humble. “We had a phenomenal time, and I did my Louie Armstrong impersonation,” he laughed. At this point in the interview, Brown breaks into the impersonation, and laughs heartily afterward. After his visit, Brown said he went back to his hotel room and worshiped for two hours, praising God for fulfilling his dream of playing for the evangelist. “The world summit was literally life-changing,” Brown said of BGEA’s World Summit in Defense of Persecuted Christians in Washington, D.C., in May 2017. Brown stressed how American churches need to consistently pray for Christians in persecuted countries. “Sooner or later our turn’s going to come. I believe it’s not if—but when. The church is going to be persecuted. This amazingly talented pianist knows he’s not representing himself, but Someone far greater. Is your identity in Christ? Find it here. Huntley Brown has performed in more than 100 countries, including in schools and churches across America. 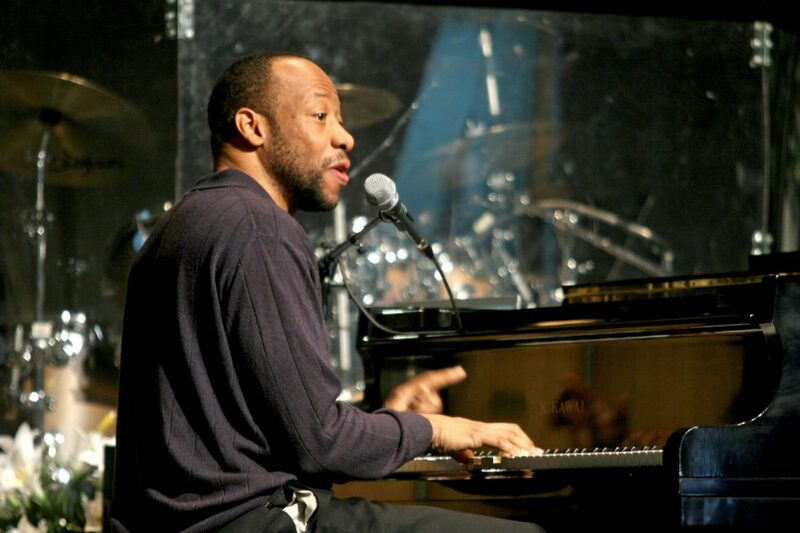 His musical styles includes classical, jazz, gospel and reggae. He received the Top Caribbean Gospel Instrumentalist Award in 2005 and 2006, and in 2009 was appointed musical ambassador for CTS TV station in Seoul, South Korea. His first book, Keys to Avoiding Deception, was published in 2017.